Dawnstar's second concert was held on 28 July 2001 in Budapest, Hungary. The concert was organised by the band members and mainly relatives were present. The band decided to organize a similar gig to the previous year's event held on 16 September 2000. Therefore, the band invited their friends and relatives to the weekend house owned by Bálint Hamvas's grandmother. The band started practising for the concert as early as spring 2001. 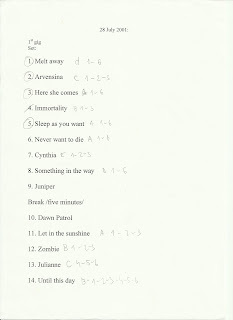 Although there were no changes in the line-up, the band added two new songs to their set-list: Under Your Wings and Julianne. The former was also recorded their 2002 demo, Never Say Die, while the latter was recorded only 5 years later on the 2006 demo A Metrosexual's Confessions. However, the name of the song was changed from Julianne to Giulia, along with the lyrics and the melody. 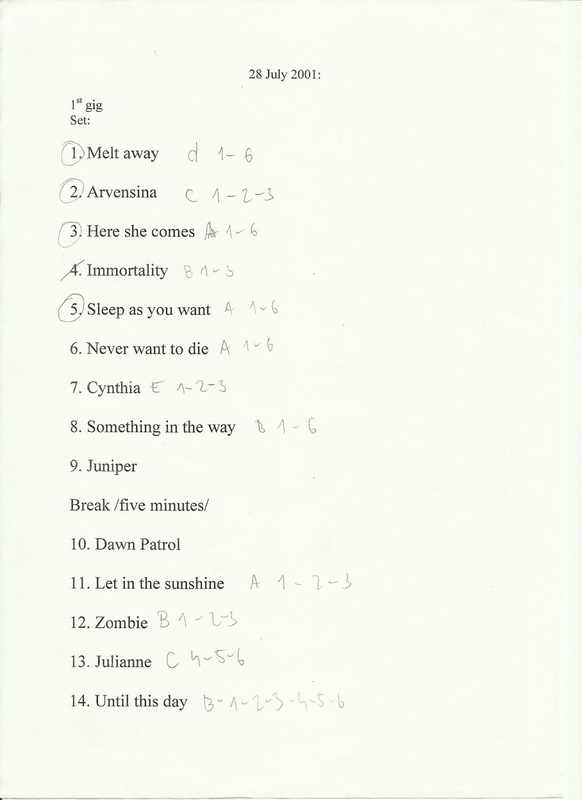 The band also included one new cover in their set-list, along with two covers: Nirvana's Something In The Way, and Cranberries' Zombie. Dawnstar decided to play Megadeth's Dawn Petrol as suggested by the band's drummer and long-time fan of the Dave Mustaine-led Amercan hevay metal band, Viktor Albert.